In Warsaw there took place a ceremony of handing over distinctions as part of the first edition of “Laur Pamięci” (Laurel of Memory) program which awarded people engaged in preserving the heritage of Jewish culture in Poland. 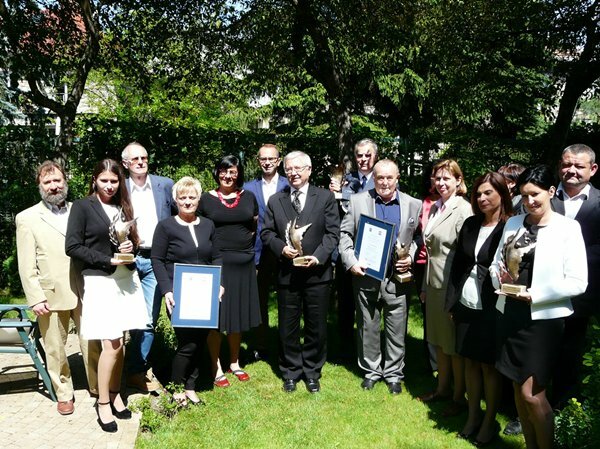 The laureates were handed statuettes and diplomas by the Ambassador of Israel Anna Azari. One of them was Eugeniusz Gradek, the Foundation Council member, awarded for taking care of a Jewish cemetery in Żywiec. During the ceremony, the Ambassador of Israel Anna Azari said: Whoever saves one life, saves the whole world. Today we are awarding people who do something that saves our world and supports the relations between our nations.